I'm an Individualist Libertarian otaku who is pansexual! 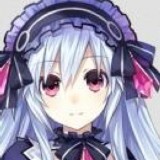 My avatar is Tiara from the Fairy Fencer series. Profile intro set to be updated soon eventually! Mike Gravel and/or Bill Weld 2020? I was keeping track of the most libertarian candidate among the two major parties, when I found out about Mike Gravel running for the Democrats in 2020 as well as Bill Weld for the Republicans in 2020!